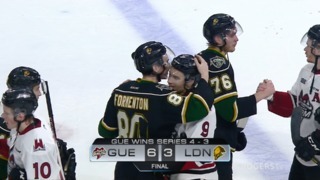 A natural hat trick from Alex Formenton and a game-winner from Connor McMichael helped the London Knights edge the Firebirds 4-3 in Flint on Saturday night. London overcame a goal on the first shot of the game and a Flint comeback, which erased a two-goal lead in the second period, to win their sixth game in ten days in five different cities. Formenton now has 28 goals on the season. He was the only player on either team to record more than one point in the game. 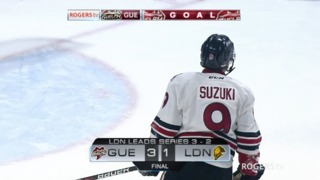 The victory allowed the Knights to maintain a four-point bulge between themselves and their first round opponent, the Owen Sound Attack, for fourth place in the Western Conference. The Attack have a game in hand and will face the Soo Greyhounds at home on Sunday afternoon. Jordan Kooy made 36 saves in goal for the Knights. London has now won 12 of their last 15 games. They are 16-8-0-1 since the trade deadline. By comparison, the Eastern Conference leading Hamilton Bulldogs are 17-8. The Flint Firebirds scored on the first shot of the game as Maurizio Colella drilled a low snap shot past Jordan Kooy just 29 seconds into the game. The goal was unassisted. Alex Formenton brought the Knights back with another unassisted goal at the 15:44 mark of the first period. The Ottawa Senators’ prospect chipped the puck off the left wing boards past Firebirds captain Jalen Smereck, and then zoomed by. Formenton skated into the Flint end and ripped his 26th of the year past 16-year-old Luke Cavallin in the Flint net to send the teams to their dressing rooms tied 1-1 through 20 minutes. Formenton scored two more goals to kick off the second period and complete a natural hat trick. He flew through an opening, into the Flint end and wristed a shot stick side on Cavallin to make it 2-1. 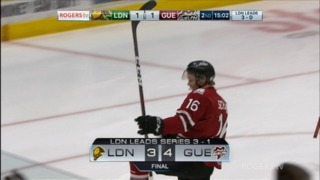 Then Formenton converted on a London power play to extend the Knights lead to 3-1. Flint might be out of chances for a playoff spot, but they made sure they weren’t out of the game, as Marcus Gretz found Ty Dellandrea in front and he slid the puck across the goal line to get the Firebirds within a goal at 15:50 of the second period. The Knights will return home to take on the Sarnia Sting on Friday, March 16 at 7:30pm. 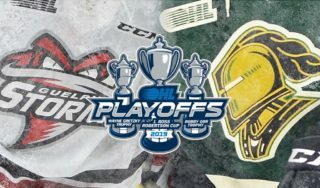 Tickets can be purchased in person at the Aluminum Associates London Knights Armoury, at the OMAC Mortgages London Knights Box Office, over the phone by calling 519-681-0800 EXT. 1, or by CLICKING HERE.